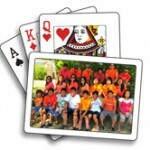 The Playing Card Factory manufactures personalized cards for card games, gifts, corporate and fundraising events using our deluxe million dollar print system. After 28 years of printing experience and running a print shop here in Mississauga,Ontario, we met the high customer demand for playing cards and launched this business in 2011. You get the best price every day – we promise. 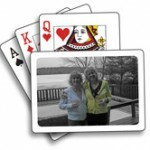 Whether you need one deck of cards or a thousand you get the same level of customer service. Every customer is important to us – that is our commitment to you. 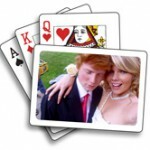 Supreme product quality – you deserve the best personalized playing cards. You want to use your custom designed cards for years. Do you know what a “genuine” deck of cards is? They’re what we call the “no cheating” factor. Our card stock is specially formulated so you can’t see through the cards. There is a special black middle layer to make it 100% opaque. It’s that simple. Speedy turnaround – shipped within 4 to 5 days. You’re ready to order but don’t want to wait. 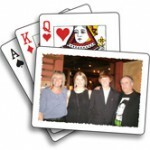 Your personalized playing cards will be sent to you quickly, likely sooner than you expect. We will mail your deck of cards within 4-5 business days. Choose from express mail, regular mail, or you can save the shipping costs and can pick them up. It’s your choice. Awesome customer service – you’re special to us. It’s this attitude and focus on making the customer happy that has kept this business flourishing since 1993. Greatest pricing – Size does matter. Leverage your purchasing power whether it’s a single or multiple deck order. We order millions of pounds card stock every year – that means you get the best price always. 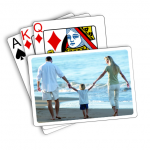 Place your order with our easy to use playing card template. Whether you are a consumer, agency, or company looking for a great deal we can help. Environment – Healthy forests and responsible business practices. We care about the environment and can prove it. We are an FSC-certified printer and have demonstrated our commitment. The Forest Stewardship Council (FSC) is an international certification and labeling system for paper and wood products that come from responsibly managed and verified recycled sources. Ready, Set, Go! Let’s get started now to place your order. 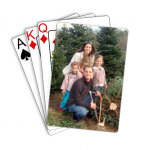 Use the quick and easy playing card template.